West Jersey Table Tennis Club, Inc. 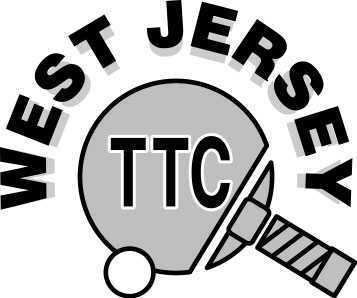 Welcome to the West Jersey Table Tennis Club Inc. web site! On this web site we'll provide information about our club. July 2011 AIR CONDITIONING was added to the gym. Our club has 8 high quality Butterfly Europa 25 Sky Tables. Three were purchase December 2015, five in July 2010. We are located in a gymnasium with a 15 foot high ceiling. There are usually around 15-20 players of various skill levels and ages on any session. Mid-2006 the lighting was upgraded and it is now 2.5-3 times as bright. Club officially incorporated on February 11, 2016 and is now a 501(c)3 non-profit for the benefit of the table tennis community and protection of the club’s future. Players typically bring their own racket and balls. Balls can be purchased from Karen Ryan if you need some. It costs $4 to play on Tuesday & Thursdays if 16 years old and over; if you are under 16 it is only $3 each night. Our Club has the full range of playing ability from top national players to beginners. The goal of the club is "To provide the best possible playing conditions for all individuals equally". The atmosphere is friendly and always welcomes new players of all ages and ability. Click on the above tabs to get additional information. The club does not endorse any ads on the pages you are viewing. This is the price one pays for a free web site. Thanks for visiting our site! Web site started January 2002.